I mostly build fantasy/scifi aircraft but this comes closest to a real one. This is an F-2A that appears in the fighter-sim game Ace Combat under the pilot Kei Nagase. Her planes has this awesome black-grey with orange yellow stripes scheme that makes it look so mystic. Cannot resist. The F-2A is a Mitsubishi variant of the famed F-16, I really like its sleakness. The box art is simply great. 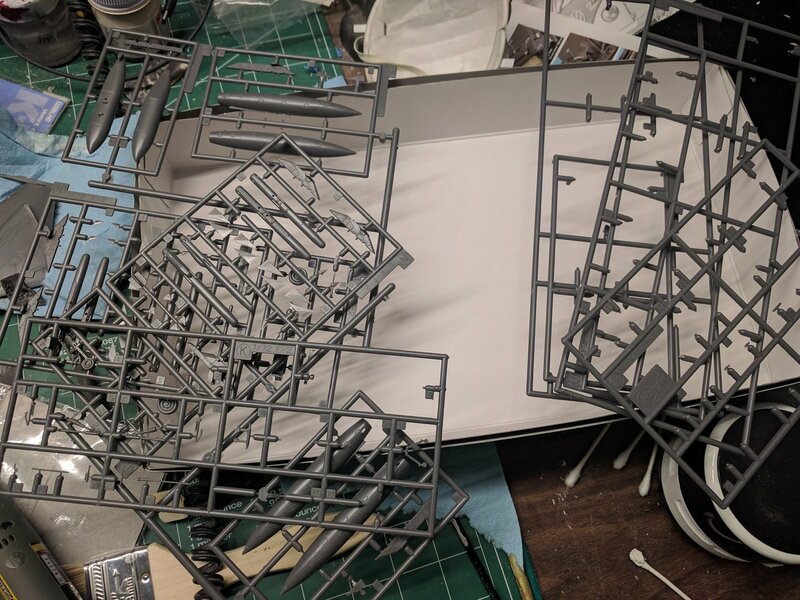 The build is really pretty straightforward, in fact the most complex pieces are the landing gear, which I’m doing without because the kit comes with a stand to model it inflight. The kit comes with the ordanance as depicted, and that’s half of the build itself. Bing a limited release the instructions are printed in high quality glossy paper. And in color to boot. The kit has two schemes which the game offers, the regular scheme and the one with Kei in swimsuit. The plan is 3-tone as you can see. The black edge pattern would require masking. 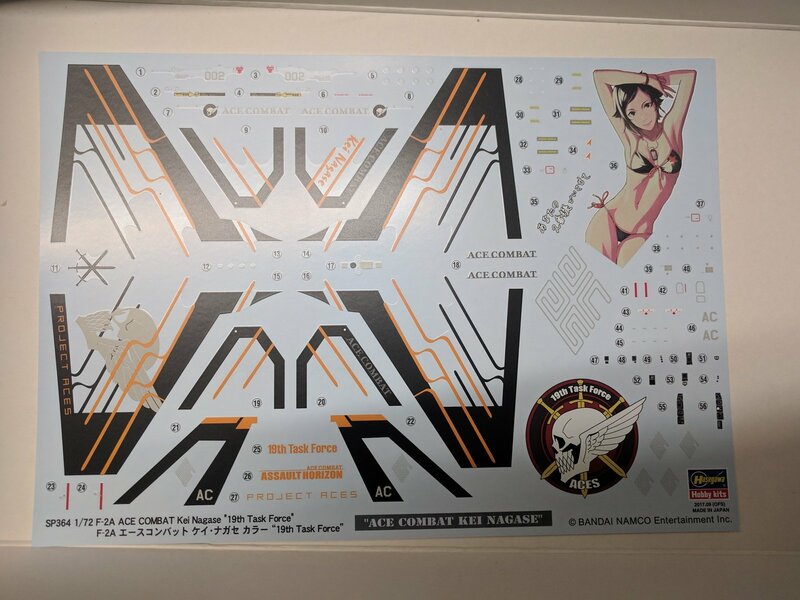 The decal sheet is so. cool. There aren’t a whole lot of parts. I’m almost done with the plane. The biggest disappointment with the kit is the lack of a pilot, which makes no sense if you want to depict her inflight. In fact this really ruined my hugely positive view of this kit. 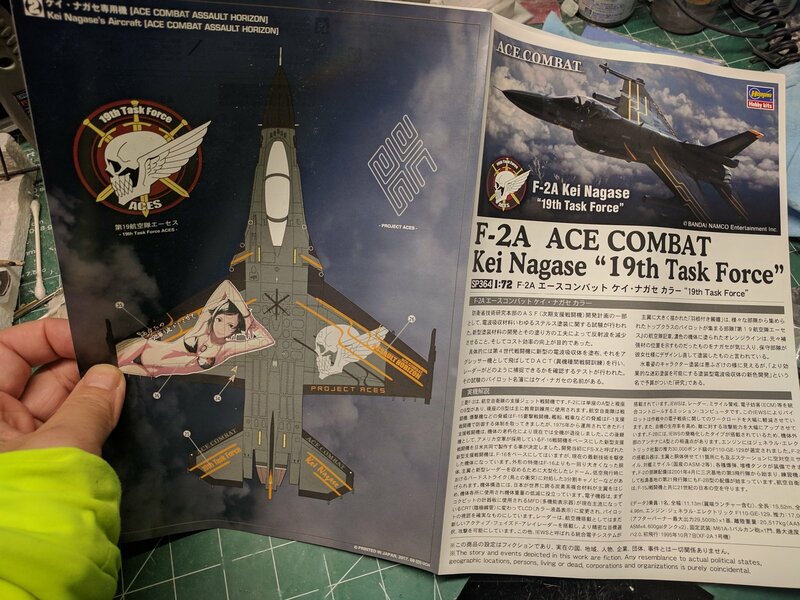 I briefly considered taking one of my macross pilots, but that dumb idea was quickly replaced by unwillingly purchasing some 1/72 pilots from who else, Hasegawa. So now I have to wait for this to come before I can close the cockpit. This is a really simple kit – if you can get it. The limited release is very limited, I think all of the first runs were gone from regular online retailers. 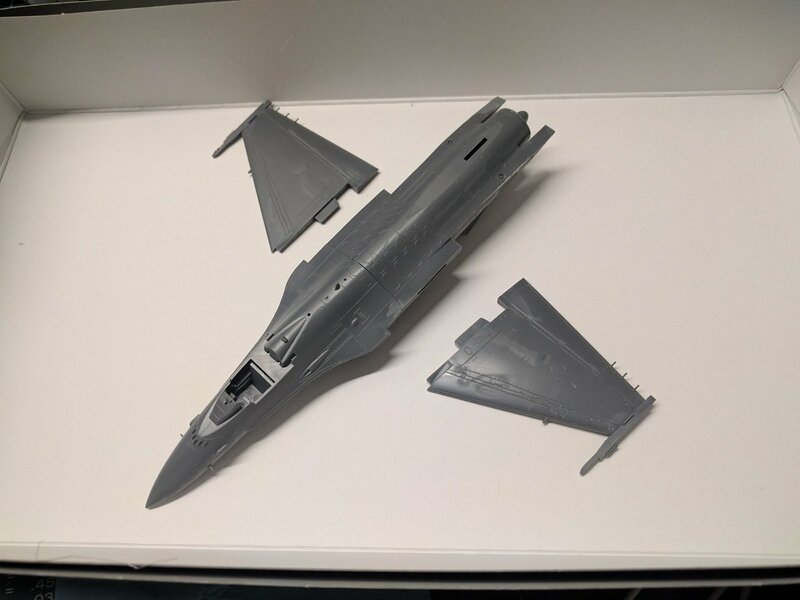 Hasegawa just doesn’t produce a whole lot of these limited release, and I missed out on their Isamu’s VF-19 frontier pack kit. Fortunately they’re re-releasing that in Nov and I’ve already preordered mine from HLJ. 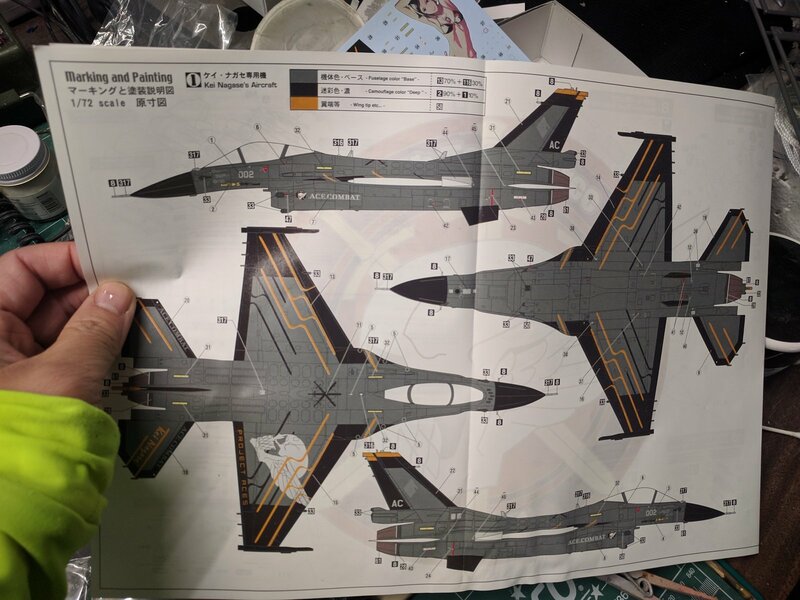 I really hope Hasegawa can keep going as a company so that, despite my complaint about the pilot, can produce such a nice aircraft model for us mortals. But with their counter-intuitive business practices and offerings, I can’t see them last very long, alas.